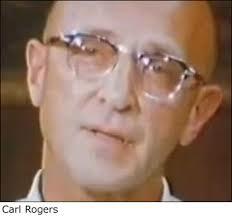 As a qualitative researcher, it was seeing the legendary Carl Rogers in action that was really interesting for me. The approach I’ve been trained in over the years, like I think many British quallies, is basically Rogerian. That’s perhaps a grandiose way of putting it, but it’s one of showing “unconditional positive regard” to the research participant, letting them lead in their own way as far as possible and, by coming across as an attentive but neutral listener, enabling them to draw their own story out from themselves. I don’t do this in any pure way of course, but it’s the starting point. This gives you something wholly different – and generally richer and more enlightening – than simply grilling a participant. 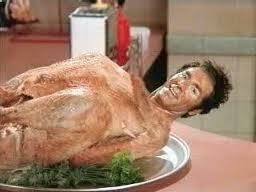 Apply butter, certainly; but do not grill. And keep away from Newman at all costs. It was interesting though how Gloria was irritated by Rogers’ approach in the interview. She wanted something back from him: a hint, a tip, some advice, anything. But as he explains to camera at the end, he absolutely couldn’t do it, because it would sell her short. She wanted a neat solution. Rogers was not offering that. Rather, he sought to draw the full detail out first – he’d presumably need several hours rather than 30 minutes for this to work satisfyingly for Gloria and him – and lead Gloria towards her own making sense of herself. She could then own these insights and be less likely to develop a longer term dependence on continuing therapy (and authority figures, which Gloria seemed to have a weakness for). It’s quite a robust, tough love approach in that sense. Apparently, though, Gloria chose the second therapist, Perls, in the end as her therapist – a choice which seems to reflect more on Gloria’s low self esteem than Perls’ ability. Perls, though I’m sure brilliant, came across as an egotistical bully in this film. See what you think. Qualitative research is not therapy of course. We are seeking to elicit insights and deeper truths from our participants for our clients’ benefit rather than for the good of the participants’ mental health. We aren’t seeking to deliver resolution for them. But we do have to listen respectfully and take them seriously. We have to conduct ourselves in such a way that they feel comfortable during and after the interview about what they have shared. This is not just so that they will take part in future research, but also so that they understand and respect our work with them. But why is gaining this respect from participants important? We have been good in qual, as an industry, at not leaving litter behind us in our wake. But there is more and more pressure on researchers to ‘squeeze’ as much as we can out of our participants. The thought is, from some quarters: they’re getting paid, so make them work. Ask, ask, ask. But participants do not give of their best and of their true selves if think of themselves as trading information. The interview, never the most natural of situations, becomes even more contrived and self-conscious than it needs to be. Like over-farmed soil, such interviews struggle to nurture healthy, strong shoots of qual data. Good research is not really about paying people money for information. We’re not after information. We’re after insights. It’s not good enough to say, ‘All interviews are a construct anyway, so what’s the difference?’ There is a difference. There may be no ultimate Holy Grail of truth out there, but there are interviews capable of generating insights and there are interviews that are not. Taking time, listening, letting the interviewee grow and express themselves – these are the things that make face to face qualitative depth interviews so interesting and useful for clients. This is why they still ought to have a big place in the qual mix. In a good research interview, the participant forgets they are in an interview (at least some of the time). The participant does not know what she thinks – and acknowledges that. 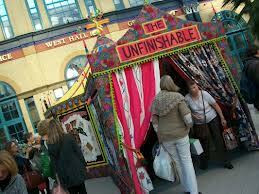 She takes the interviewer into the imperfect, unfinished and unfinishable process of working out her own thoughts. The research takes from this not an “answer”, but the start of a hypothesis about how she thinks: how habit, urge, reason and emotion interweave on this topic for her, at this moment, in this place. If we do enough of these interviews, accumulating the minutiae from each person at this level, face to face depth interviews really can elicit insights into thought processes that other qual techniques cannot. This entry was posted in Qual Research, Techniques and tagged Carl Rogers, Interview, Psychology, qualitative research, research, Social Sciences. Bookmark the permalink.